A solar powered fan that keeps the interior of your car cool and fresh. AutoCool is a solar powered fan that keeps the interior of your car cool and fresh. 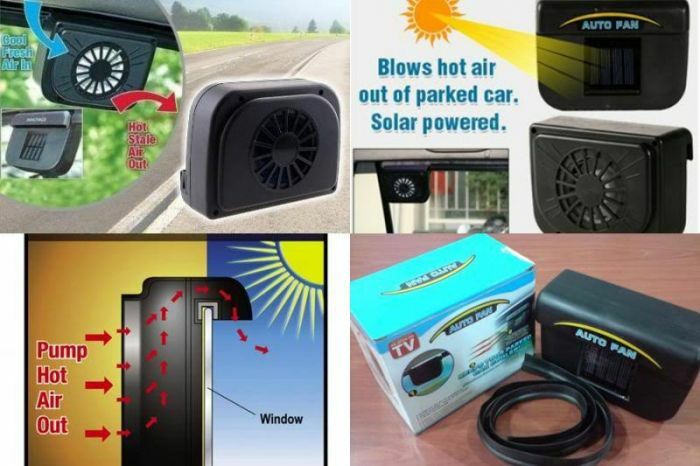 This Auto Cool Solar Powered Ventilation System is a car vent that eliminates scorching heat built-up in your car. The auto cool vent is solar-powered – no electricity or batteries needed. The vent installs in seconds on windows of all vehicle makes and models. Position the unit inside your parked car, and the powerful fan blows hot air out of your parked car. Keeps your parked car cooler!